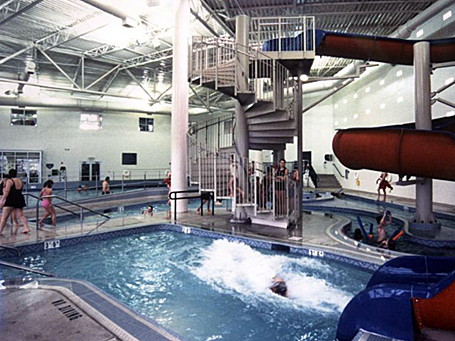 In 1997, Colorado Springs City Council retained the team of Sink Combs Dethlefs and Counsilman-Hunsaker to perform a Feasibility Study for the development of new recreation centers to support the city’s recreational and fitness objectives. Since the city’s pools were built in the 1940s, it was apparent that a Feasibility Study would outline major issues facing the development. Several design concepts were developed, each with varying degrees of emphasis on aquatic and recreational program spaces. Based on information from the report, Colorado Springs chose to build two new indoor recreation centers and one outdoor aquatic center: Cottonwood Creek Recreation Center, the Aquatic and Fitness Center, and Wilson Ranch Pool.